Internet Banking Support Analyst with over 25 years experience working in the financial services industry. Have a strong background in Treasury and Online Banking. Experienced in the testing, marketing and implementation of online banking products. Proven track record of designing and developing product guides which was highly successful in providing instructional knowledge to both customers and customer service areas. Energetic and dedicated individual with a reputation of having a strong work ethic and developing strong partner relationships with vendors and every level of the organization. Served as Subject Matter Expert for two online banking conversions. Collaborated between vendors and internal departments for developing processes to support customer conversion. Oversaw development and performed analysis and validation of customer mapping files, obtained and distributed data files to new vendor. Prepared product documentation to be included in customer FAQs and reviewed customer marketing materials. Prepared and published company wide materials pertaining to the conversion. All of which lead to the successful conversion of over 300,000 retail/small business customers and over 800 commercial customers to a new Retail, Small Business and Commercial Online Banking system. Oversaw all aspects of online channels including: Retail, Small Business, Commercial and Mobile Banking. Created process documentation and support workflows diagrams for Retail, Small Business and Commercial Online Banking processes. This resulted in identifying issues with customer enrollment process. 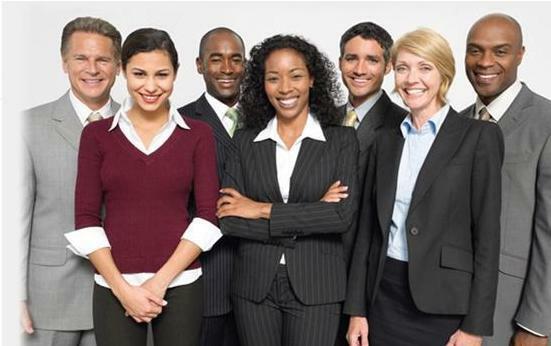 Streamlined approval process of customer enrollments from 10 business days to 3-5 business days. Identified risks associated with Online Banking products/processes and presented suggested resolutions to Executive Risk Committee for approval. Reduced business customer complaint calls by granting loan department the ability to "flag" business loan accounts, at time of opening, allowing the account to automatically appear within customer's online banking. Performed user acceptance testing of new Commercial Treasury Management, Small Business and Retail Online Banking products, services and/or enhancements. Developed test cases/plans utilizing recommended criteria for testing newly developed products/services. Reviewed results and provided recommendations to vendor of necessary alterations to testing or to the products/services. Collaborated with IT and other internal departments to continually support the operation of the online banking products, and participated on various project teams and tasks forces. Designed and produced customer user guides, customer reference materials and performed in-house trainings to support Customer Call Center and other internal departments for assisting customers. Provided assistance to external customers when customer issue could not be resolved by the Customer Call Center. Designed and developed various marketing materials such as the product brochure for the bank's commercial banking application. Oversaw quarterly marketing campaigns for both Bill Pay and Online Statements through working with the Marketing department on the creation of graphics and banners, and utilizing online banking application tools to display campaign within customer's online banking session. Also worked with outside vendor for promoting campaign upon customer login. Supported the Web Content Manager by maintaining/updating Online Banking FAQ's and product pages stored within the bank's website utilizing Rythmix (Percussion CM) application. Verified customer setups/changes to the Commercial Online Banking application and other treasury products. Trained customers on the use of various treasury management products. Designed and developed customer user guides to support the Commercial Online Banking application, as well as the Positive Pay system. Collaborated with outside vendors and internal IT department to support applications and resolve customer issues. Utilized Microsoft Access, which resulted in developing a database shared by the Treasury Operations and Sales department to track customer information, products used, accounts/users and assist with monthly billing file. Developed additional databases within department as business needs arose. Performed user acceptance testing of commercial banking application and provided vendor with results/recommendations. Installed and maintained computer systems for all branch and back-office locations throughout the state of Florida. Ran cabling, installed data/server equipment and performed testing of circuits and hardware. Installed personal desktop computers, printers and software applications. Trained colleagues on the use of equipment and software applications. Obtained Certified Novell Administration ("CNA") certification. Diagnosed software and hardware issues and collaborated with outside vendors resolve issues in a timely manner. Worked closely with the Certified Novell Engineer ("CNE") in the development and deployment of the Novell Client infrastructure for entire bank. Participated with the conversion of acquired banks and converting their branch systems to our banking system. Reported to the Vice President of Accounting. Assisted in daily operations by answering phones, managing appointments and schedules, ordering and maintaining department supplies and processing miscellaneous correspondence. Produced, assembled and distributed quarterly reports and annual 10K report. Interacted with all levels of management within organization. Collaborated with Local Administration Network Administrator. Developed, installed and maintained Novell network for department of 60 employees. Oversaw departmental needs by designing and facilitating office cubicle moves/modifications. Supervised electricians and movers to coordinate the running of electrical and network cabling and reconfiguration of office cubicle partitions, desks and furniture. Assisted three department managers and administered their daily operations through scheduling appointments, processing daily correspondence and intercepting client calls. Performed backup assistance to reception area by answering incoming client calls and routing to appropriate party, and by greeting clients who visited the office. Demonstrated initiative by self-teaching the use of a Mac Desktop computer and its various applications, which lead to additional responsibilities, including: designing and developing internal training guides, monthly departmental newsletters, proposals and miscellaneous correspondence. Collaborated with Management Education Specialists in the design, development and production of management education course materials. I identified Bob as a key resource for the Web Delivery team at BankAtlantic and was very fortunate that he accepted a position with that team when it became available. Bob has a tremendous knowledge base in the cash management, treasury management, small business and consumer internet banking and bill pay areas. Bob was instrumental in the bank’s implementation of new banking platforms for all customer segments. Bob’s vast knowledge of banking processes and operations coupled with an unparalleled work ethic were critical in the development of policies and procedures, training materials, internal and external communications for those implementations. Bob's attention to detail, strong test plans and thoroughness reduced the risk associated with these high visibility projects. I would give Bob my highest recommendation and believe that he would be a top performer and valuable asset to any organization. I’ve worked with Bob in varying capacities over my 13 years with BankAtlantic, including managing him for nearly the last 2 years. Bob is a subject matter expert on anything that he is involved with, which today includes the Online Retail, Commercial and Mobile Banking platforms. Bob understands the intricacies of the systems and works tirelessly to exceed all of his assigned deliverables. Bob remains customer focused and often takes it upon himself to create tools to educate customers and colleagues for all of the different services. Bob has a take-charge attitude for any issue that arises no matter the size or scope. Bob demonstrates great attention to detail, trustworthiness and dependability each and every day. It’s my pleasure to recommend Bob. At BankAtlantic during my tenure as a Project Manager, I worked with Bob Scholten on a highly complex and risk-laden program converting online banking vendors and platforms. Throughout this multi-year program, its ups, downs, and in-betweens, Bob not only proved himself to be one of the most knowledgeable subject matter experts I’ve ever worked with, he also proved himself to be an exceptionally dedicated colleague, continuously going above and beyond the call of duty. Bob is genuine, honest, and sharp. Because of these qualities, it’s my pleasure to recommend Bob. 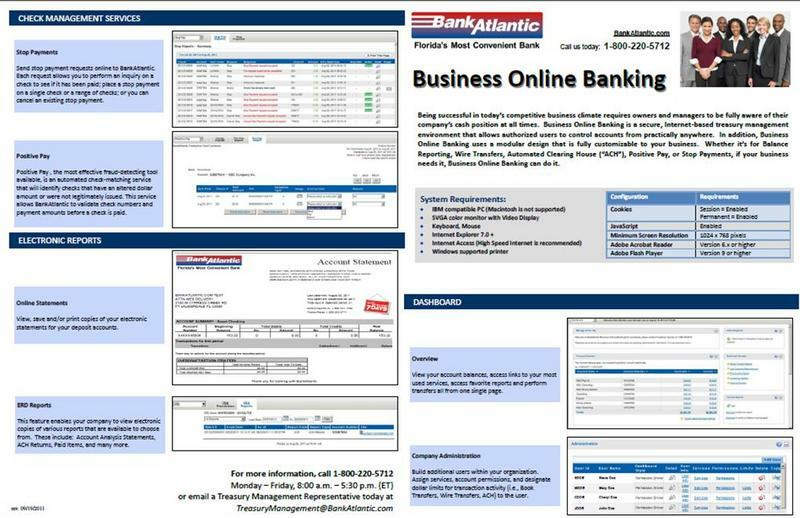 I thoroughly enjoyed working with Bob over the past 10 months on the BankAtlantic retail online banking conversion. He was my go-to person at BankAtlantic on a wide range of activities that were required daily. His expertise, attention to detail and dependability were true assets to the entire team. An online banking conversion is a demanding and fast-paced effort with a lot of moving parts. Bob exhibited leadership and provided well thought out decisions that were greatly appreciated as we worked through the logistics every step of the way. I must mention that he was also handling the commercial online banking conversion that was running concurrently, at a similar capacity. Most importantly, Bob is a pleasure to work with, enjoys his work and shows great care to the best interest of the clients. Much credit goes to Bob for our success. Bob has worked for BankAtlantic for nearly 19 years, primarily in the treasury management and online banking departments; and is a real subject matter expert on both the retail and business online platforms. His responsibilities include providing support to customers for technical issues, training and installations. Customers and colleagues love working with Bob because of his responsiveness, expertise, and tireless approach to 'get things done'. Bob is a team player and a great asset to BankAtlantic. I have worked with Bob for the last 2 years on the Bank's conversions and can say that he is one of the most detailed and thorough people I have ever worked with. Bob has the ability to really get into the nitty gritty and ensure that all details are revealed so as to ensure a quality conversion. Application used to create/design web pages for bank's external website. Includes, but is not limited to, Online Banking, ACH and Wire Transfer systems. Over 10 years experience providing customized training (in person and over phone) to Corporate customers on the use of the Corporate Online Banking system. 4 years experience providing assistance to customer service and external customers on the use of Retail Online Banking services. Currently utilize all applications within Office 2007 suite, including Microsoft Access. Developed and maintained several Access database applications used by members of the Treasury Management Operations, Implementation and Sales for the purpose of tracking Corporate Online Banking customers, services assigned and for running monthly reports. Also developed several database applications for the Wire department.